The hydrogen industry will be the first beneficiary of South Korea’s deregulation efforts, with the government allowing Hyundai Motor to build hydrogen-fueling stations at the National Assembly, in a symbolic move in the nation’s push toward the next-generation energy. 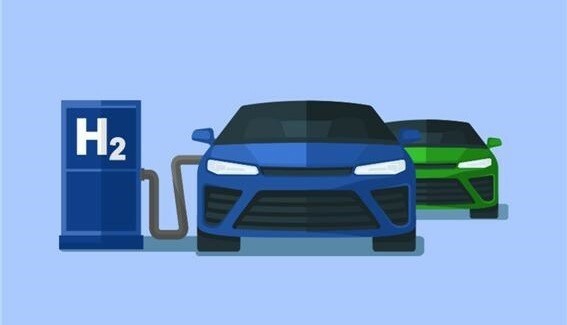 Last month, the government announced its plan of producing 1.8 million units of hydrogen cars and installing 660 charging stations by 2030. This year, it aims to produce 4,000 hydrogen cars and 86 charging stations. There are currently only nine stations nationwide, with only two in Seoul. Since President Moon Jae-in observed a demonstration on fueling hydrogen cars in Paris in October, calls have been growing for Korea to deregulate to boost the hydrogen car industry. “We decided to allow the request of Hyundai Motor to build its hydrogen-fueling stations in three areas, including the National Assembly,” according to a joint statement released by the Ministry of Trade, Industry and Energy and the speaker of the National Assembly, after holding the first committee meeting on deliberating special cases of regulations. It will be the first such case in the world for hydrogen-fueling stations to be built at the legislature. After the government adopted a regulatory sandbox last month, Hyundai Motor has applied for approval to build hydrogen-charging stations in five areas, including the National Assembly, in Seoul. A regulatory sandbox refers to a system that exempts or postpones existing regulations to help companies pursue new businesses. Hyundai Motor will build the stations on a site of around 1,000 square meters within the National Assembly by the end of July. The charging stations will have the capacity to charge more than 50 hydrogen cars per day, according to the government. The government will also allow hydrogen-charging stations to be built at the Tancheon water reclamation facility in Gangnam and the hydrogen-fueling station in Yangjae. Under the current law, building hydrogen-charging stations in such areas is not allowed due to many regulations related to residential areas, commercial areas and cultural assets. With the regulatory sandbox, the related infrastructure can be installed without revising laws. “This will be a catalyst to spread hydrogen-charging stations in city areas,” Sung said. Hyundai -- which launched the world’s first hydrogen car, Tucson in 2013 -- plans to produce around 500,000 fuel cell cars per year by 2030 with an investment of 7.6 trillion won ($6.7 billion). Alongside the hydrogen-fueling stations, three more applications were passed: customized health care services through direct to consumer genome analysis, digital bus advertising and app-based electric car charging outlets. Along with the hydrogen-fueling stations, the government also allowed biotechnology firm Macrogen to expand items of genetic testing from the current 12 to 25, in an effort to lower the legal barriers of private genome analysis. It also allowed advertising firm JG Industry to use liquid-crystal displays and light-emitting diode panels as bus advertising, to expand the transportation advertising market. Electric car charger firm Charzin has also been permitted to launch app-based electric vehicle charging outlets that can charge electric vehicles using 220-volt sockets to boost the local electric vehicle industry.